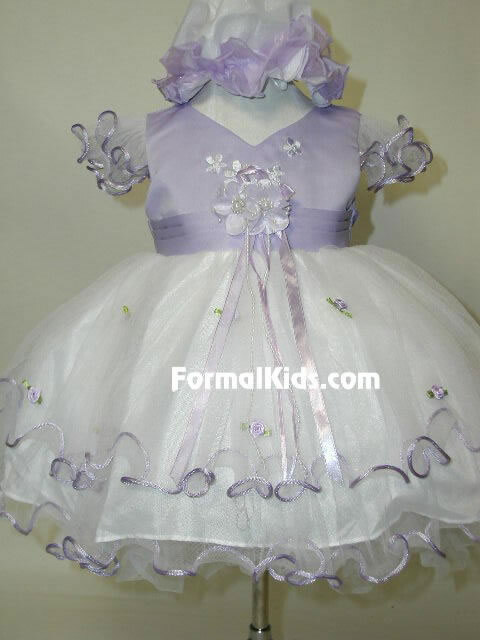 Stunning infant's special occasion dress with floweral embroidered bodice, sash accent at waist and multi-layer skirt and sleeves. Skirt and sleeves are both accented with satin coiled trim. Multi-layer twill skirt with satin flower accents throughout skirt layers. Sash at waist ties into bow in back. matching bonnet style hat included. 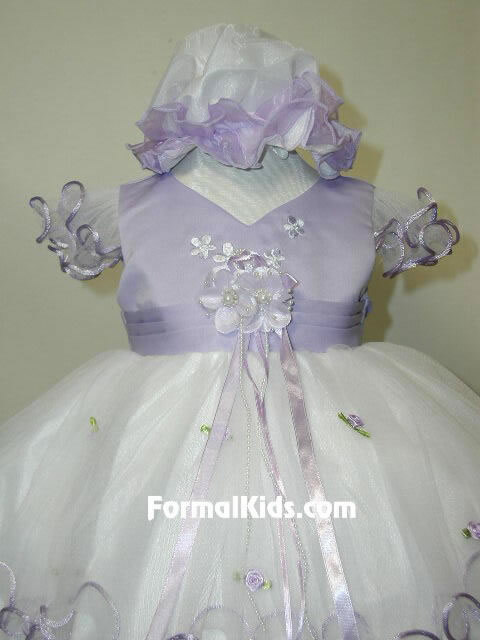 Beautiful removable satin flower and ribbon accent at waist. *Matching sock, shoes, slip, and hair accessories available. see children accessories. Petticoat Slip recommended for shown fullness.